Do you really wish that you didn’t have Aspergers? Do you really think that your life would be better or easier? While they all do have some great advice, and I do recommend reading them all, my advice is a little different. The sad truth is that life is hard for everyone. Even kids that have billionaire parents find life to be pretty hard from time to time. Just for different reasons. The thing is that most people don’t know why their life is so hard, it just is. They feel that the universe or fate itself is against them. Think about it. You have an advantage. You know exactly what it is that’s making life hard. It’s not fate, it’s not the universe… it’s Aspergers. The thing is, knowing what you’re up against gives you the power to change it. See, I didn’t know about autism or Aspergers until my son was diagnosed with autism just 4 years ago. Even worse is, I didn’t know that I had Aspergers myself until just recently. That’s the thing… I too felt like the universe was against me. I had no friends, felt alone all the time… life was not just hard, it felt far more difficult for me than for most others. But I didn’t know then, that I had Aspergers. I didn’t know then, that there was something very specific that was holding me back. Pretty much everyone in this world is capable of greatness if they focus all of their time and energy into something that they are passionate about, that they really love. And that’s because they get to be really really good at it. It just so happens that this is especially true of people with Aspergers because one of the defining characteristics of Aspergers is the ability to focus, almost obsess, over certain areas of interest. What I find is that I sit, wondering why my life is so hard. Or, I wish that my life made more sense. Or I wish that I could just have fun at parties like everyone else. Or I wish…. well, sometimes I just sit and stare at the wall actually. The point is, time is not on our side if we’re not actually using it properly. The biggest problem is when we realize that we’re adults now, stuck in a dead end job, and that all of that time that we spent wondering or wishing could have been put into reading, learning, practicing, experimenting and just doing… the things we love! This is true for most people, by the way, it’s just especially true for people with Aspergers. Because we’re especially bad at time management (judging the passage of time) and we’re also especially bad at handling guilt, anxiety and all the wonderful feelings that come with being alone and/or unable to handle social situations. And so we dwell. And time passes us by. Until we wonder why we’re not good at anything. Why we’re alone. Why life is hard. And we think… if only we had used all of that time, staring at the wall, to actually get better at something. You have Aspergers. You wish you didn’t. I get that. All of my life, I wished the universe wasn’t trying to keep me down. Sadly, I never had much of a chance against the universe. But it turns out that the universe wasn’t my problem. I really wish I had known that I had Aspergers because I could have stood a chance against Aspergers. Here’s why…. focus + time. Don’t let them both pass you by. Don’t try to fight it. No, you might not be super smart, or have a photographic memory or the ability to play music just from hearing it one time… but you do have a gift. And just like the mind readers in comic books, that need to learn how to use their gifts so that it can go from feeling like a curse to feeling like a super power… you are going to have to learn it as well. And it will take time. 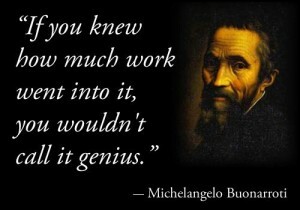 And it will take hard work. But that’s the thing. It’s within your control. Not the universe. Not fate. And certainly not Aspergers. Don’t wait 20 years to look back and think of what you could have accomplished with all of that wasted time. Look ahead 20 years and imagine all of the things you can accomplish… if you focus. Obsess over something and do it. Don’t waste time now and you’ll have no regrets later. I really like this. I think it’s one of the better ones I’ve read so far on the site. It really speaks to anyone that may be different and struggling. Some people on the spectrum aren’t savants. Probably most of us aren’t, and some don’t have super IQs and that’s okay. I think picking out something that is a positive use of time and getting a move in the right direction is so important in an autistic person’s life. All the resources in the world could be available, but if we don’t know how to use them it could feel so hopeless. 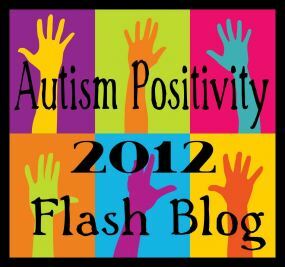 Thanks for writing this and for your participation in the Flash blog!